Serampore is an old colonial town of West Bengal. 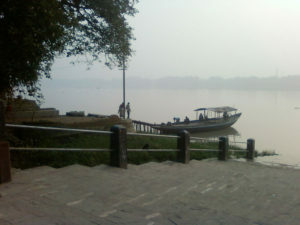 Situated just 24 kilometers from Kolkata, it is a bustling crowded place on the right bank of the Hooghly River. While most of the town is under local administration, the Kolkata Metropolitan Development Authority (KMDA) also covers a part of it. It was the only town to be colonized by the Danish and was known as Frederiksnagore from 1755- 1845. Serampore was famous for its superior education institutions and William Carey founded the Serampore College. It was also the first College University in Bengal. The town is also known for publication of the first Bengali Newspaper, Samachar Darpan. 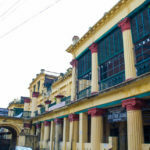 Serampore is well connected to Kolkata by railways and by road. It takes a little more than 30 minutes to travel to the town by car, while local buses and trains ply at regular intervals from Kolkata. Mithila Express, Doon Express, and Amritsar Express are some of the long distance trains that travel via Serampore to Kolkata. 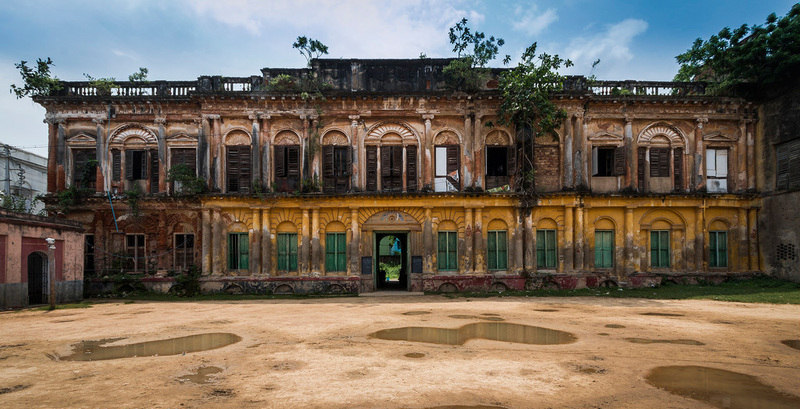 The residents of Serampore usually travel to Kolkata for work and education on a daily basis. Both the rail and bus fares are economical and do not exceed Rs 100. Cars for hire and taxis are also available at approximately Rs 200 from Kolkata. Radhaballav Jiu Temple is open to the public; Puja and anjali are performed daily both in the morning and evening. Jhulan Jatra, Janmastami, Nandotsob, Radhastami, Rasjatra and Doljatra are celebrated every year. Radhaballav Jiu Temple is also known as Thakurbari. Jagannatha Temple had built by Dhrubananda Brahmachari, a devout man of Mahesh at 1397. But this temple is no longer in existence. Present temple in Mahesh was built in 1755 and cost around Rs. 20,000; donated by Nayanchand Mallik of Pathuriaghata at Kolkata. 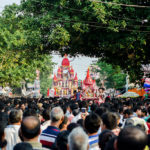 Rath Yatra: Mahesh Rath Yatra is Second oldest in India after Puri. Serampore is famous for this and the town receives an unprecedented number of tourists during the occasion. Serampore Rajbari: The Goswamis of Serampore are one of the five Brahmin families whom King of Gaur, Adisur had invited to settle in Bengal, with gifts of land and monies, to grow eternal knowledge. Raghuram; a member of the Goswami family was built a house during the time between 1815 and 1820. Now a days this giant mansion known as “Serampore Rajbari”. Danish cemetery: Serampore also houses two Cemeteries dating back to the Danish days. 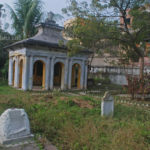 The Baptist Mission Cemetery in Serampore contains the family graves of Carey, Ward and Marshman, while the Danish Cemetery houses several other Danish graves. 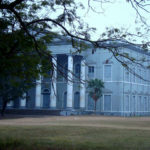 Serampore College: Since Serampore was a Danish Colony from 1755 to 1845, the Baptist missionaries were given all encouragement to develop their educational enterprise by the Danish Governors, Colonel Bie and his successor Colonel Krefting. Joshua Marshman visited Copenhagen and secured from the King of Denmark, Frederick the Sixth, a Royal Charter, empowering the College to confer degrees in all faculties. In other words, Serampore College was considered the third University, the other two being at Copenhagen and at Kiel. In 1845, when the Danish settlement was purchased by the British, the treaty of purchase included provisions for maintaining the rights and immunities granted to the College by the Royal Charter of 1827. Serampore Jute Mill: India Jute Mill at Serampore, Hooghly became the company’s second composite mill after acquisition in June, 2007. It has an installed capacity 120 MT per day producing Sacking cloth & Bags and Hessian cloth & Bags. Located next to the prestigious Serampore College of Textiles, the mill has a rich heritage and background in textile and Jute. This unit employs over 4000 individuals and is known in the industry for its immaculate work culture and ethics. Bot tala-This area features a huge 100-year-old Banyan Tree. It is also a busy bus stop at present. Chatra Doltala – Sri Chaitanya Mahapravu is rumored to have visited this place. Tourists usually prefer to stay in Kolkata and while visiting Serampore. However, there are quite a few hotels in the area along with guesthouses and paying guest accommodations. There is no particular season for visiting Serampore. It is accessible throughout the year. However, first time tourists need to avoid the monsoon season particularly the months of June-September while visiting the town. 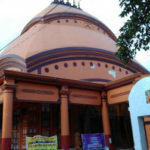 This entry was posted by indispottravel in Historical Places in West Bengal, Hooghly, Picnic Spots in West Bengal, Pilgrimage destinations in West Bengal, West Bengal and tagged Accommodation in Serampore, Attractions & Activities of Serampore, Bandel Church, best time to visit Serampore, Bot tala, Chatra Doltala, Chatra Shitalatala, covered by Kolkata, Danish cemetery, Danish colony in India, Danish colony in west bengal, distance of Serampore from kolkata, first College University in Bengal, Frederiknagore, Ganga ghat, Heritage, historical city, how to reach Serampore, Jagannatha Bari, Mahesh Rath Jatra, old history, palace, part of Danish India, Radhaballav Temple, Rajbari, Rath Yatra, Sagnik Banerjee Photoscape, Samachar Darpan, Satimata Mandir, Serampore, Serampore College, Serampore Jute Mil, Serampore Rajbari, Serampur, Sheoraphuli Raj Debuttar Estate, Shreerampore, Shreerampur, Shrirampore, Shrirampur, Soshan Kali Temple, south bengal, Srerampore, Srirampore, Srirampur, Srirampur Mahaprovu Bati, Taramar Bari, Train and buss availability to Serampore from Kolkata, William Carey.